Walt Disney was in a tight spot: aside from surprise hit "Dumbo," his last couple of films ("Pinocchio" and "Fantasia") had been financial disasters that showed no signs of ever making the studio back their costs. The financial pressure was intensified because the usual solution of recovering costs through overseas distribution in Europe was impossible because of a little matter known as World War II. Nobody knew how long that little problem would last. Not only that, Disney's workers were threatening to unionize and had even gone on strike. The way forward was unclear, as it was expensive to create an animated feature film and, quite frankly, Walt didn't have the money. The war itself, the major cause of Disney's problems, provided the solution. Nelson Rockefeller, an oil man with deep ties to South America, had talked President Roosevelt into appointing him Coordinator of Inter-American Affairs (CIAA) in the Office of the Coordinator of Inter-American Affairs (OCIAA). What all those acronyms meant was that Rockefeller had broad power to herd the straying South American nations away from the temptations of German influence and back toward supporting the Allies. How Rockefeller did that was pretty much up to him, and he came up with the idea of using Hollywood stars to reinforce the tight bonds of the Americas. Accordingly, he sent Orson Welles down to Brazil to make (never completed) feature film based on the locals, and he talked to Walt Disney (and a large part of his studio) into touring Brazil, Argentina, Chile and Peru. The tour went well: everybody loved Mickey Mouse, and since Walt himself was the voice of the popular character, he got a lot of attention from the locals. Disney arranged with Rockefeller for the government to help fund a film (we now might call this a "bail-out") oriented toward South America and its culture. 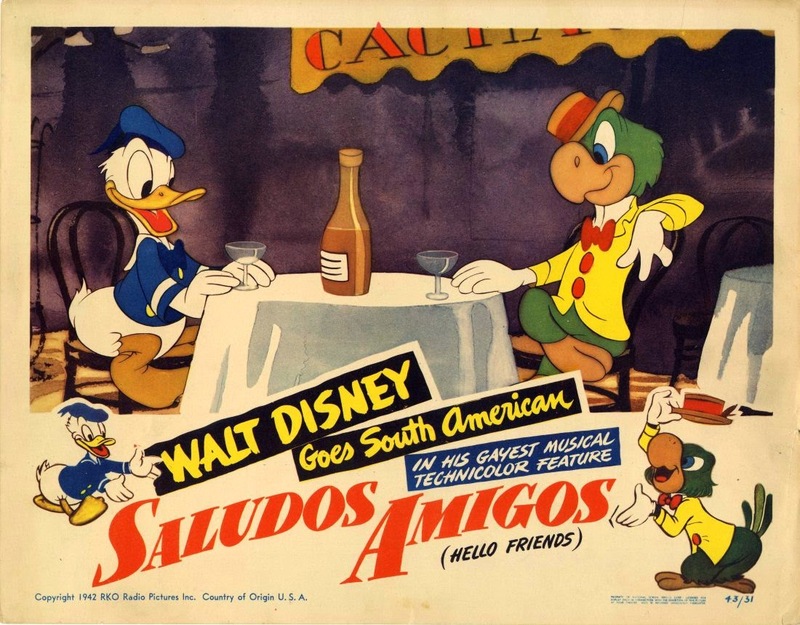 That film turned into "Saludos Amigos" ("Welcome, Friends") (1942), and included live-action footage of South American cities and people interspersed with four comic cartoon segments. The goodwill tour was cannily worked into the film by having each segment arise from shots of the Disney animators making drawings of picturesque spots, which then came to life. The four cartoons were "Lake Titicaca," "Pedro," "El Gaucho Goofy" and "Aquarela do Brasil." The cartoons are well done, but also full of stereotypes of the time. In "Lake Titicaca," Donald Duck visits the lake in Peru and has a difficult encounter with a llama (South America is full of animals). "Pedro" is an airmail plane who overcomes huge obstacles to deliver his cargo, a single postcard (South America is dangerous). 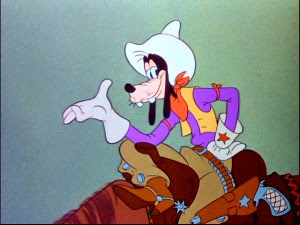 In "El Gaucho Goofy," Goofy becomes a South American cowboy (South America is like the lawless Old West), while in "Aquarela do Brasil (Watercolor of Brazil), Donald Duck listens to some samba with his new friend José Carioca (South America is very sensual). While some would call this "edutainment," it is more exploitation. However, it was right for the time and did do American foreign relations a world of good. The most enjoyable and unique things about the "Saludos Amigos" segments are the authentic South American rhythms performed by top local artists. It is not a stretch to claim that "Saludos Amigos" paved the way for other Latin singers and musicians to make their way north, the most conspicuous example being Desi Arnaz (Lucille Ball helped with that, of course). 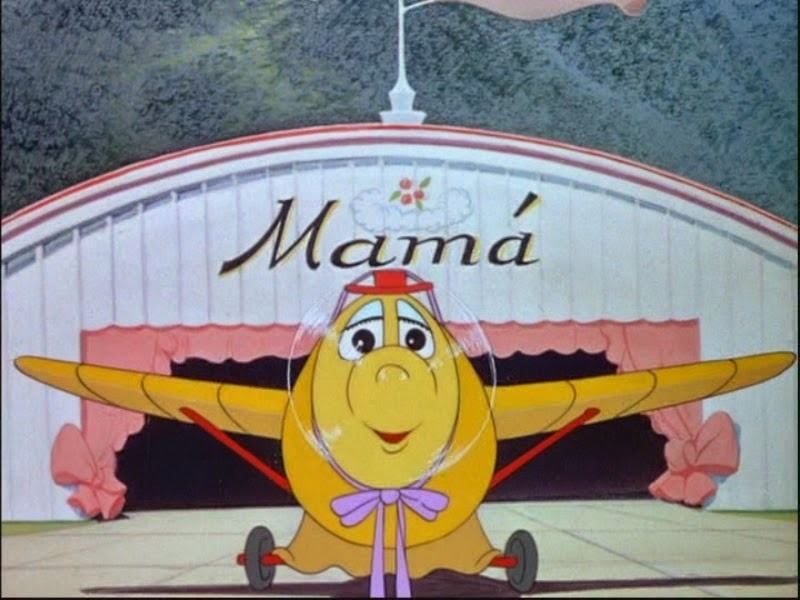 The film was nominated for three Academy Awards for Best Musical Score, Best Original Song ("Saludos Amigos"), and Best Sound Recording. 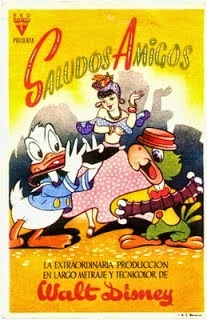 "Saludos Amigos" was popular enough to generate a sequel, "The Three Caballeros." When you consider that there are less than a handful of Disney animated feature films that ever had sequels that were theatrically released, that ain't bad. "Saludos Amigos," however, is all but forgotten. It is one of the lesser Walt Disney Productions releases but can be found along with other films of the time if you look hard enough. It is featured on the Classic Caballeros Collection DVD (2008) and pops up here and there on other DVDs as a bonus feature. Rumor has it that it will be forthcoming along with its sequel on a Diamond Edition in the near future. For those interested in Walt Disney and his shop (Mary Blair, Lee Blair, Norman Ferguson) at the time, there is good live-action footage of some of them. Walt and the other animators voiced the characters themselves, which is somewhat of a rarity. "Saludos Amigo" began the "Package Era," so named because the films were composed of separate episodes within a larger framework, with some of the more popular segments later released individually as shorts. Other interesting aspects of "Saludos Amigos" include the way it foreshadows future Disney films. 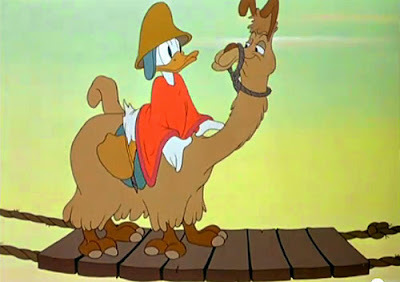 For instance, the "Pedro" segment looks a lot like the 2013 "Planes," while the "Lake Titicaca" segment with Donald Duck has a lot of similarities to "The Emperor's New Groove." The posters for "Saludos Amigos also are a lot of fun, with the studio apparently preparing different colorful posters for all the various Latin American markets. 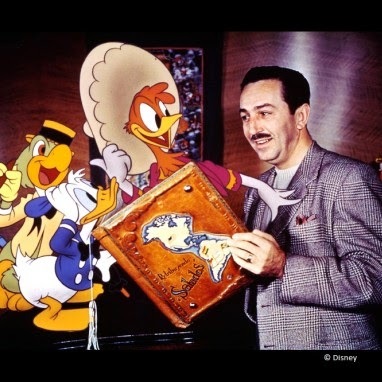 Below is the original "Saludos Amigos" trailer, and also a very nicely restored copy of the "Aquarela do Brasil" dance.